Yesterday, we had a little visitor for the first time. It's Nicholas, Natalie's new little baby cousin. 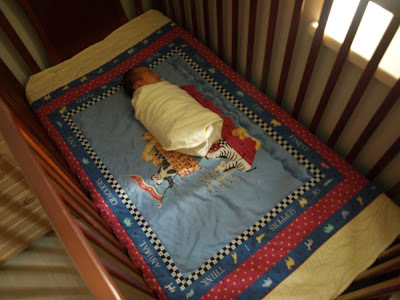 He borrowed her crib for a nap and looked teeny tiny inside it. Hard to believe Natalie also used to be that small! How cute! 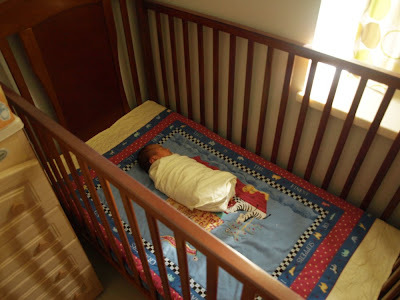 You should put up comparison pics of Nicholas in the crib and Natalie in her crib taken from the same angle...to see how teeny-tiny he is compared to his cousins.